Nissan’s top executive apologized to its shareholders Monday for the unfolding scandal at the Japanese automaker and asked them to approve removing from its board its former chairman Carlos Ghosn, who faces allegations of financial misconduct. 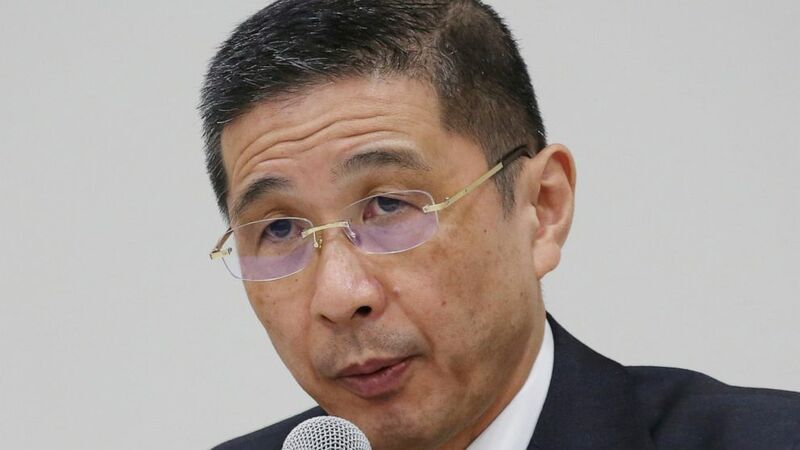 Chief Executive Hiroto Saikawa and other Nissan Motor Co. executives bowed deeply in apology to shareholders attending the extraordinary meeting at a Tokyo hotel. Shareholders are also voting on the appointment of French alliance partner Renault SA’s chairman Jean-Dominique Senard to replace Ghosn. Also on the agenda is the removal of Greg Kelly, a board member who is charged with collaborating with Ghosn in the alleged misconduct. Angry shareholders demanded an explanation for how wrongdoing on an allegedly massive scale had gone unchecked for years. The meeting was closed except to stockholders but livestreamed. One shareholder said Nissan’s entire management should resign immediately. Saikawa said he felt his responsibility lay in fixing the shoddy corporate governance at Nissan first, and continuing to lead its operations. Another shareholder asked if Nissan was prepared for a damage lawsuit from shareholders since its stock price has plunged. He outlined the findings of an internal investigation, such as payments of a consultation fee to Ghosn’s sister for 13 years. The investigation has also found too much power had been focused in one person, he said. Ken Miyamoto, 65, a Nissan shareholder, said he was disappointed. He has been charged with under-reporting his compensation in financial documents, and with breach of trust in having Nissan shoulder investment losses and making suspect payments to a Saudi businessman. Ghosn says the compensation was never decided on or paid, no investment losses were suffered by Nissan, and the payments were for legitimate services. Ghosn was arrested in November, released on bail in early March and then re-arrested for a fourth time last week. The latest arrest was in connection with fresh allegations that $5 million sent by a Nissan Motor Co. subsidiary and meant for an Oman dealership was diverted to a company effectively controlled by Ghosn. His detention on that allegation has been approved through April 14 but could be extended. The date of his trial has not been set. The Renault-Nissan-Mitsubishi Motors alliance now rivals auto giants Volkswagen AG of Germany and Japanese rival Toyota Motor Corp. in global sales. “We had allowed a system in which wrongdoing could be carried out without detection,” he said.